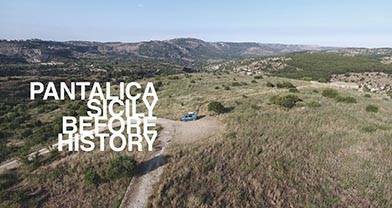 Sicily is not only the largest island in the Mediterranean, it's also one of the oldest in terms of human settlement. Archaelogists believe that it may have been settled as long as 12,000 years ago, long before most areas of Europe. In this video, contributor armandoWDN gives us an aerial tour of Patalica, an area in the southeast corner of the island, near Syracuse. Pantalica is the site of the Necropolis, a cemetery which is thought to hold as many as 5,000 graves. Description: The Necropolis of Pantalica in southeast Sicily, Italy, is a collection of cemeteries with rock-cut chamber tombs dating from the 7th to the 13th centuries BC. There have been thought to be over 5000 tombs, although the most recent estimate suggests a figure of just under 4000. They extend around the flanks of a large promontory located at the junction of the Anapo river with its tributary, the Calcinara, about 23 kilometres northwest of Syracuse. Together with the city of Syracuse, Pantalica was listed as a UNESCO World Heritage Site in 2005.